Professional in the front and a party on the side! This fun Rainbow Journal features 80 sheets of blank cream colored paper with unique rainbow edging that is contrasted by the sleek black cover. 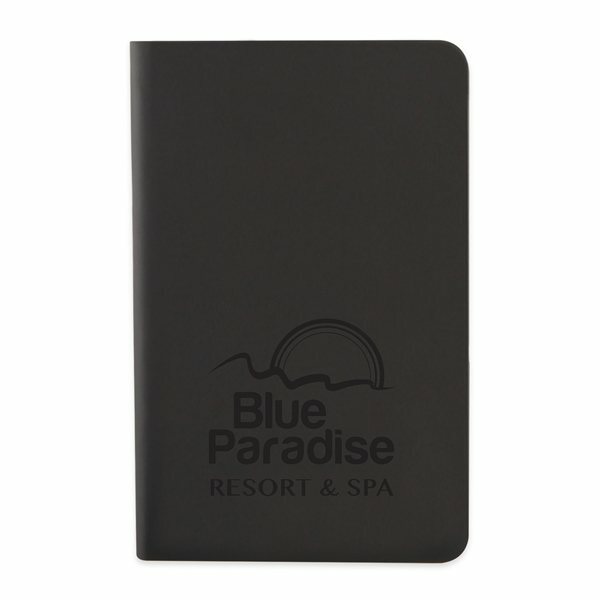 A great gift at company meetings, fundraisers, schools and more the colorful notebook is sure to capture attention. Make sure your logo or brand name is seen by imprinting it front and center on the cover!